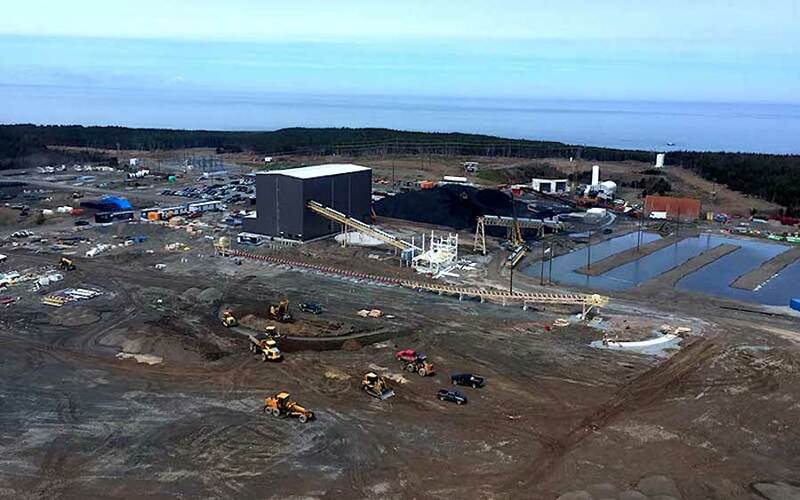 Kameron Coal’s Donkin mine, the first underground coal operation in Canada’s Cape Breton in 15 years, has received four orders and six warnings from provincial authorities since limited production restarted on January 25, after part of the roof collapsed. Orders from the Nova Scotia government include everything from Kameron Coal being required to have “pullcord and guarding on conveyor system,” to warnings to install “proper functioning for ventilation,” the Cape Breton Post reports. Proper ventilation is a key issue for an underground operation, Harold Carroll, head of the NS Department of Labour and Advanced Education, said. He noted that receiving a warning doesn't necessarily mean inspectors found a serious violation of regulations. "We do not anticipate these particular orders/warnings will have an impact on Donkin Mine returning to their regular mining operation," noted Shannon Kerr, spokesperson for the NS Labour Department. The Donkin coal mine, which began operations in late 2017, has been the subject of frequent inspections since an accident forced its closure in December. It was allowed to reopen a month later, but only for limited production. Since then, Kameron Coal has submitted a new ground-control plan to the department and is in talks with the province to get approval to restart full production. The company, a subsidiary of U.S.-based Cline Group, gained full control of Donkin by 2015, after purchasing a 75% majority stake in the operation from Glencore and 25% from Halifax-based Morien Resources (TSX-V: MOX), which has a royalty on coal production from the mine.